Nature tells some of life's most intriguing and inspiring stories. I recently heard a story about a fascinating scientific discovery. It was about big brown bats, predators of the night, and moths, their seemingly easy prey. It's fairly common knowledge that bats use a form of sonar or echo location, sending out ultrasonic signals to locate their prey in the dark of night. It's one of the marvels of nature that makes the bat species so effective and unique as a night hunter. And little moths are their defenseless prey. But, the story reveals that a unique subspecies of tiger moth fights back against the bats with its own ultrasonic signals. 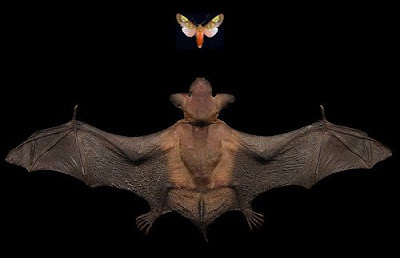 So, as the bat chirps away with it's sonar capabilities - it's greatest asset as a predator, the tiny moth clicks back with it's own ultrasonic sounds. The result is that the bats signals essentially get jammed and it cannot locate it's moth prey. The bat gives up, and the moth survives. In the end, the moth is the victor in this nighttime nature drama. The story illustrates how the seemingly greatly disadvantaged prey can use its talent (in this case inherent talent) to defeat the bigger and stronger predator. When I heard it, I immediately drew the parallels to jiu jitsu and grappling. 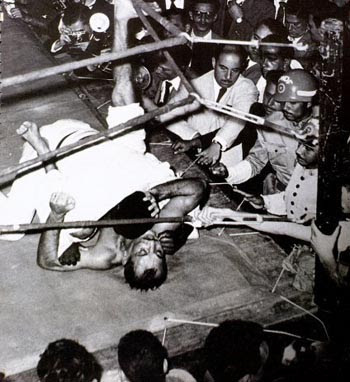 When Helio and Carlos Gracie put all of this in to practice, they created a skill-set that could used by a weaker (or, let's say, "less strong" or "strength challenged") and smaller fighter to defeat bigger and stronger opponents. Just as the moth has a unique capability that gives it a distinct defensive advantage, jiu jitsu gives each athlete or fighter a unique set of skills to defend against and to overcome opponents. And, it's been proven time and time again in challenge matches, on the street and now in the MMA arena. We also apply this when we match our jiu jitsu skills against bigger/stronger grappling competitors. That's how guys like Marcelo Garcia and Jeff Glover win absolute divisions in tournaments. It's how guys like me (172 lbs) can compete directly with the 200+ pounders. It's, to me, one of the great things about our sport/fighting style. Of course, we always want to be the bat - the predator. But sometimes (a lot of times), we're the moth. And, with our jiu jitsu we can still win beat the predators on the streets and on the mat.